The maximum number of hands that the application detects is now configurable and theoretically unlimited. But due to performance and resolution constraints (fingers can't be detected if the hand is too far away from the kinect) it's already quite difficult to work with 3-4 hands. 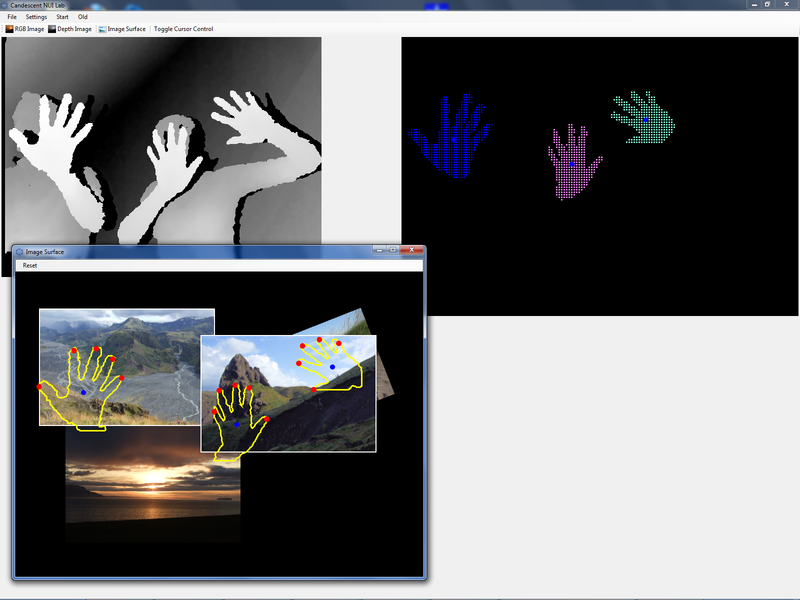 Currently the hand should not be farther away than 100 - 120 cm from the Kinect to reliably detect fingers. Should the Microsoft Kinect SDK (or another driver, or even another device) offer better resolution, then hands and fingers could also be detected farther away. so, I hope you hlep me if you do not mind.my email adress is ffvcff@163.com. thanks! I have replyed your e-mail,thang you veyr much.